Burlap Seamless Patterns and Textures comes with unique designs that seamlessly tile together. 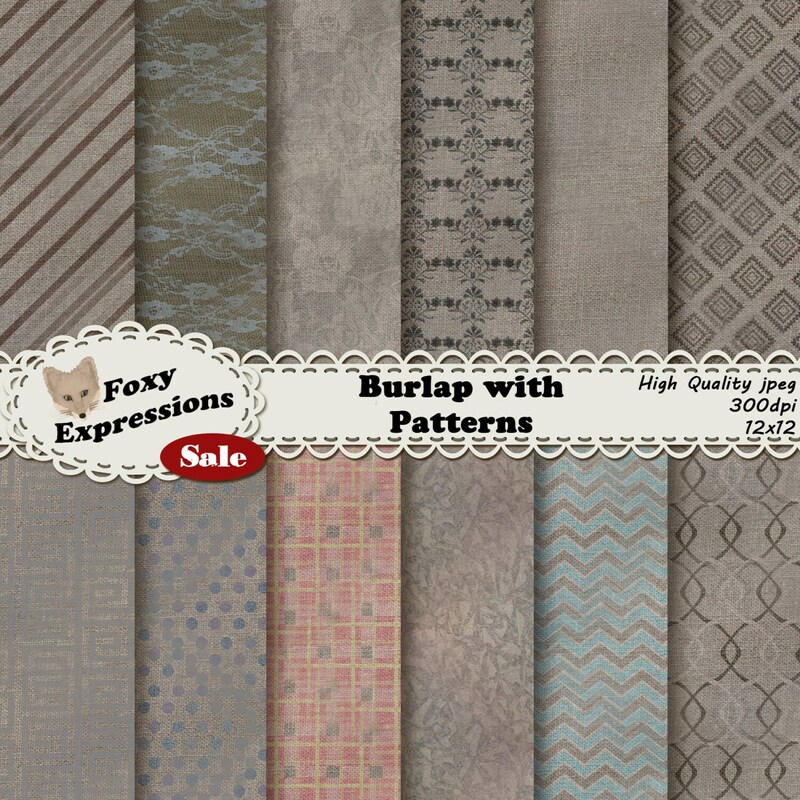 Disigns include plaid, chevron, chains, damask, polka dots, swirls, lace, roses and just random textures. Most of them come in natural burlap color however there is a few with a light touch of color. Colors include purple (polka dots), blue (chevron) and pink (plaid).